"The objective of this Neighbourhood Scheme is to facilitate the creation of viable intensive organic agricultural developments by promoting co-operation and self-reliance among the proprietors of Lots in the Neighbourhood Plan." By-Law 1, Neighbourhood Management Statement, Rivers Road Organic Farms, DP 285610. The above objective can only be changed by unanimous decision by all members of this neighbourhood plan, and therefore is an effective organic covenant. 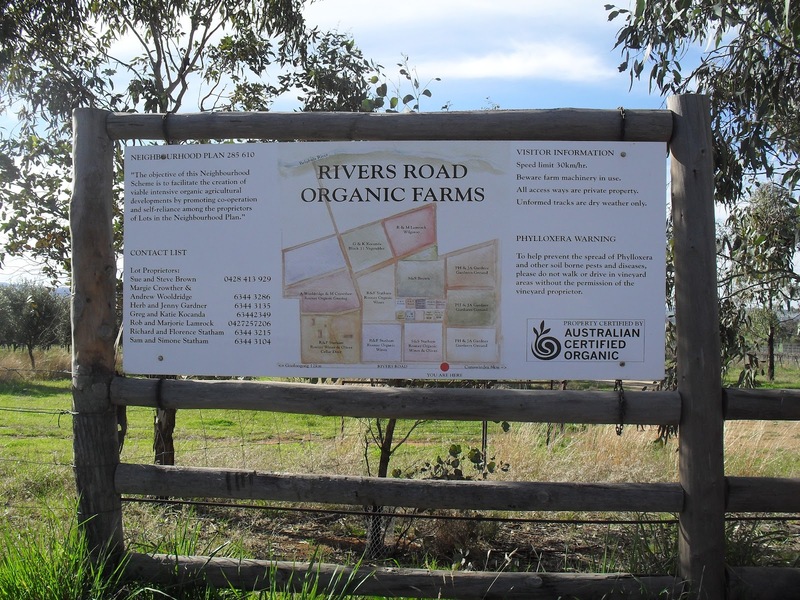 This unusual application of organic certification formed the basis for Cowra Council approval of the Development Application in 1998. The Council was at the time accutely aware of the risks of rural subdivision in areas of prime agricultural land. They referred to a NSW shire council which had been sued by a resident of a subdivided block adjacent to cotton farms, because of the chemical drift. The use of an organic covenant within a community title subdivision effectively took this risk away, as it passes the decision making authority to an independent third party - an accredited certification body working to an internationally recognised standard for non-toxic, clean agriculture. Cowra Council still imposed a rule the design of the development so that resdential development would not take place all over the place, but rather in one part of the subdivision. 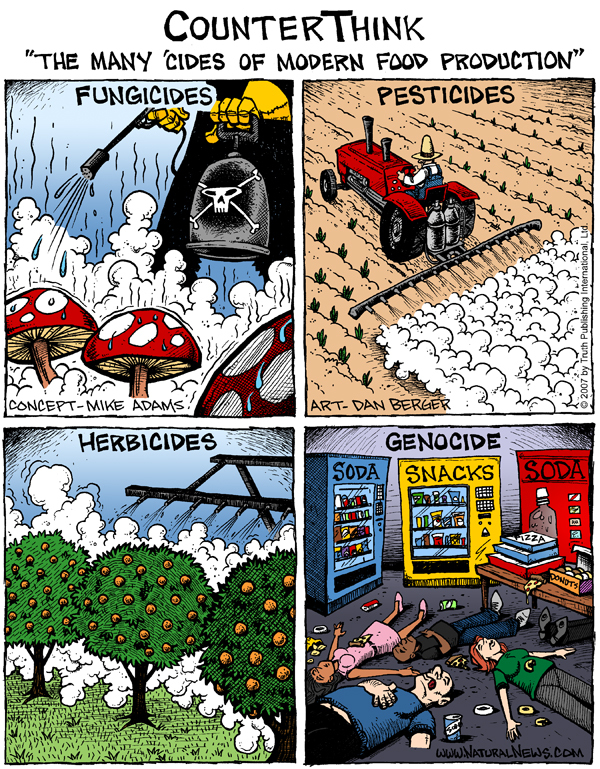 The idea is that the integrity of the agricultural land needed to be protected. The resulting "village" in the middle of the farm has now become an asset to the community. The ten 0.5 hectare (60m x 80m) house blocks are like an "eco village" with four strawbale houses and familes who are great friends and organic farming collegues. Many, but not all, of the house blocks adjoin the farm blocks. More building is being planned, but the type of ongoing development is now directed by an evolving Landscape and Architectural Standard, created by the existing members. The main thrust of the current Standard is that future buildings should continue in the theme of earth building materials. Also, a Noise and Odour Standard has been created and continues to evolve, and its main thrust is that the development is primarily agricultural, and therefore the keeping of animals and the use of tractors and machinery, are permitted. At present, the majority of the neighbourhood plan has been developed to organic viticulture, olive growing, and vegetable growing by the members. There is a substantial amount of informal cooperation between the members, but no formal joint ventures or partnerships. The members have come from diverse backgrounds and bring unique skills, and investment, to Canowindra and all are developing successful and sustainable businesses. We beleive that Rivers Road ORganic Farms is a working example of the application of Community Title for the development of prime agricultural land for the co-existence of residential, environmental, and agricultural production values. Indeed, the last AGM had no issues on the agenda, other than the compulsory issues of budget, insurances, executive committee elections, etc. This in itself is the sign of a healthy community. We thank Cowra Council for its vision and hope that other people will find the structure to be of interest. In this kind of community, irrigation system is indeed very essential. This will give the right moisture to the soil where plants will be planted. It is essential for the developers to install the pipelines properly to prevent leakage. That's really excellent to read about the structore of this community and It's good for health department as you read the article and now you can get dissertation writing help from us. Keep it up!